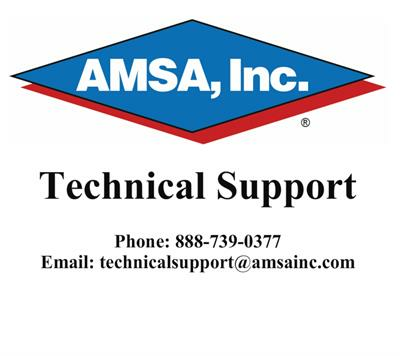 AMSA, Inc. is engaged in the discovery, development, and manufacture of products used in programs for the control of fouling, corrosion, and scale in industrial water systems. AMSA, Inc. is located in Auburn, Michigan. We serve industrial customers around the world. AMSA, Inc. is committed to providing the cooling water industry with effective and economical tools to improve operating efficiencies while reducing costs. We are committed to the cost effective and green manufacture of AMSA BCP™ chemical formulations. With a strong foundation in research and development, we will meet our customers increasing needs for effective products and technical support. We will provide leadership in the application of ATP analysis technologies in markets such as industrial cooling water and other water-based processes. If you answered 'no' to any of these questions, you may consider using AMSA BCP™ chemistry. AMSA, Inc. is committed to providing the cooling water industry with effective and economical tools to improve operating efficiencies while reducing costs. We are committed to the cost effective and green manufacture of DTEA II™ based chemical formulations.